In an act of apparent religious defiance, Arkansas’ Austin Police Department decided to make a change on their patrol vehicles. According to the law, police officers are classified as public servants who are here to defend the Constitution. The Austin PD’s new decal focuses on exactly that. 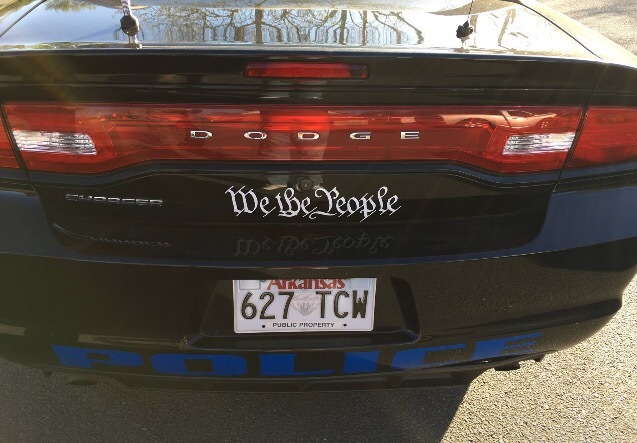 The decal states “We The People,” which is the opening statement to the preamble of the United States Constitution. 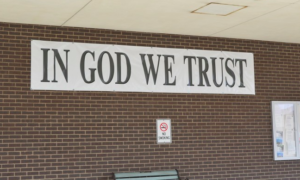 According to Patheos, Chief James Kulesa said the decals are meant to reflect that as law enforcement officers, “we are committed and sworn to uphold the laws of this nation and the ideals of the Constitution, without bias, prejudice, or personal opinion. It further reflects law enforcement officers are also ‘We The People,'” read a Facebook post from the Austin Police Department. “And the department said the decals were donated, so there’s no cost to taxpayers,” reported Mehta.